I love baking with bananas.It gives such a unique taste to the baked goods that even people who detest banana do not seem to mind the hint of it in the cakes/muffins.One of my first baking recipes was this Eggless Banana Nut Muffin.I would highly recommend it to beginner bakers as it gives such perfect and tasty result each and every time. Bananas are great egg substitutes and usually mashed bananas are used in place of eggs in cakes/cupcakes.I somehow wanted to stick to the original recipe as Nags felt this was the Best Banana Cake. Only change I did was to add salted butter,as I use that in every bake of mine and accidentally added the salt too.So there was a slight salty overtone[which only I could detect,btw]but otherwise,the cake's a winner.I skipped the frosting too and made the cake using my good ol' electric hand beater.I am planning to go eggless next time by adding an extra banana or by adding yogurt in place of the egg. Is it the most fabulous Banana Cake? ?I would have to try this again with unsalted butter to confirm as I felt this lacked the Banana-ey punch.I would go back to my trusted recipe as my go-to Banana Cake. 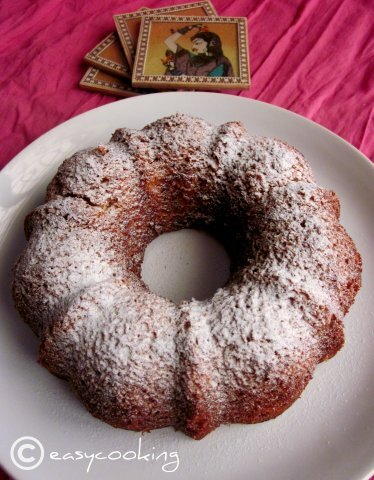 Grease a 9" cake pan or a Bundt pan,like I used. Put the flour, baking powder, salt, and soda into a bowl and whisk together with a fork or a balloon whisk. Chop the bananas and mash with a fork.Make sure the banana is really really ripe. Add the sugar and egg to the mashed banana and beat well. Then add the butter and beatfor another minute until the mixture is thick and creamy. Next, add the buttermilk and vanilla extract and beat until just blended. Add the dry ingredients to the wet ones and fold until just blended. Don't overdo the mixing part. Scoop into greased pan and smooth out the top layer evenly. Bake for about 40 mins or until the top turns golden brown and the cake passes the skewer test. Remove and let cool completely. Remember I baked a Bundt Cake on November 15th,International Bundt Day? 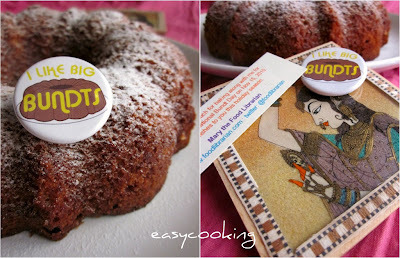 ?Mary-The Food Librarian sent me the "I Like Big Bundts" button which I am so proudly showing off here!! That was an awesome looking cake. Even I love the flavour of banana in any baked item. Perfect click. Divya, the cake is looking so moist, soft and porous. wish mine's turn out like that too always. But then I'm in the learning stage unlike you who in mu opinion is a perfect 10 on a 1-10 scale. The cake is looking delicious.. bananas give a lovely flavour to the cakes.. would love to see the eggless version also. I also relish banana in breads and cake ! looks great !! It sure looks like the most fabulous cake...love the crumb. Love the texture of the cake (first click). Buttermilk is a good add to this lovely cake. my son gonna luv this,..
Divya, the cake looks so soft.I love banana flavour in cakes, especially the aroma when it is baking. I am sure gonna try this out soon.Snaps are rocking. 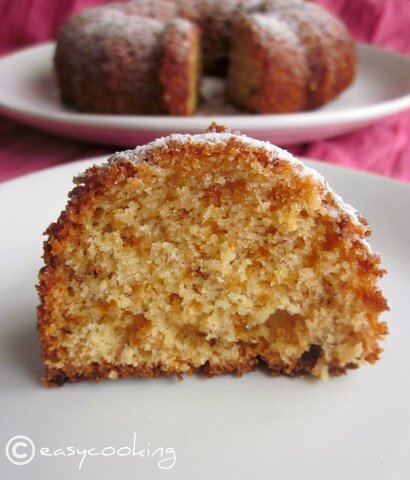 Very soft and moist cake. Looks so inviting. Damn pretty looking cake,sooo moist and soft..
Looks really superb...moist n soft..
luv the banana cake here! I yoo love baking with banana and this one looks so good. I am huge fan of banana cakes. Urs looks perfect Divya! Looks soft and very moist cake...yumm!! I love baking with bananas too and they will never let you down..My first baking attempt was banana walnut muffins..Looks yumm!!! I'm new to your blog. I just happened in on it while browsing for cake recipes. I've been looking for a while now for a banana cake recipe that doesn't call for brown sugar, or buttermilk. But your instructions for making buttermilk look so simple that I'm going to definitely give this a try.